India is one of the fuelling economies in the world and a major part of this credit goes to the SME and the MSME sector. This sector contributes almost 40% to the economy and provides employment to around 70% of the nation’s population. To bridge the gap between the capital required and the scope of growth, the government of India has introduced a few schemes to ease the process of acquiring a loan for an SME or MSME. The government has encouraged collateral free loans, thus lifting the burden of the entrepreneurs and letting them work on growing their business. Before we get into the schemes provided by the government, here is a short brief of what are the types of loans an SME can secure. Working Capital Loan – One of the most favored loans by entrepreneurs out there is the working capital loan. This loan is mainly taken up to fill in the gap between the current assets and the current liabilities. The money secured for this loan is used for day to day expenses and monthly bills. Know more about our working capital loans here. Vendor Financing – Most of the businesses out there work on credit from suppliers or vendors. Due to this many are exposed to the risk of cash default or require the liquidity before being paid by the supplier. Vendor financing solves this problem and gives you a loan against your previous issued bills to ensure your liquidity. To apply for a vendor financing loan, click here. Term Loan – If one is looking for major expansion of business, a term loan is what is right for you. The expansion could be for anything right from inventory, getting onto new platforms or entering new markets. A term loan could be for anywhere between 3-5 years depending upon the loan selected by the entrepreneur. Now that we have discussed the types of loans an entrepreneur should be on the lookout for, let’s dive right into what the government has to offer the SME sector in regards to loans for businesses. There are quite a few schemes introduced by the government of India and you need to select the one that suits your requirements the most. We’re covering a few of the most important ones that could be related to your business. The most talked about MSME loan introduced by the Prime Minister is the MSME Loan in 59 minutes. The aim of the loan is to encourage more and more entrepreneurs to take up a loan to expand their business. While this feature was already present, this scheme caters to finishing the entire process in less than 59 minutes. This not only reduces the paperwork and hassle but also supports the need and requirement of a loan. The loan amount availed can be up to Rs. 1 crore and can be used by an established business or a new upcoming one. The process takes 59 minutes, however for the approval and the money to get credited into your account may take up to 7-10 days subject to the approval of the request. To know more about the MSME Loan in 59 Minutes, read our blog here. Sishu Loans up to Rs. 50,000: Usually for starting out a business or seed funding. Kishor Loans up to Rs. 5,00,000: This category is for businesses that have already been established and need more capital to grow their business. Tarun Loans up to Rs. 10,00,000: The highest level of loan for this category. While this scheme has been launched way before in the early 2000s quite a few rectifications have been made to this scheme and has been made more suitable for all entrepreneurs looking for a loan. This scheme is mainly for working capital to meet the day to day expenses and bill payments. The CGMSE above a certain amount can also be used for the purpose of the mortgage. This scheme is run by the government of India in collaboration with the Small Industries Development Bank of India (SIDBI). These loans are unsecured and hence are one of the more favourable loans amongst everyone. This scheme revolves around developing the farmers of the nation and businesses that surround it to grow their business and provide financial aid to the backbone of our country. This scheme is mainly beneficial to the village and cottage industries and the financial assistance provided to them helps them expand their business. This scheme is responsible for the funding of rural and social initiatives and social enterprises. Because NABARD is a well established name, farmers know about this scheme and tend to avail loans through this scheme quite a few times. The scheme aims to help Indian manufacturing SMEs to gain traction in the international markets. The Market Development Assistance Scheme for MSMEs offers funds to the SMEs to participate in the international trade fairs and exhibitions under MSME India stall. The scheme also offers funds for sector-specific market studies by industry associations, export promotion councils, and FIEO. Under this scheme reimbursement of 75% of a one-time registration fee and 75% of yearly fees (recurring) paid to GSI by SMEs for the first three years for the bar code is done. These are a few of the schemes provided by the government of India to support the SME and MSME sectors to a greater extent. With GST rolling in and a plentiful of public and private sector lenders for this sector, it can definitely see some long term growth and success. 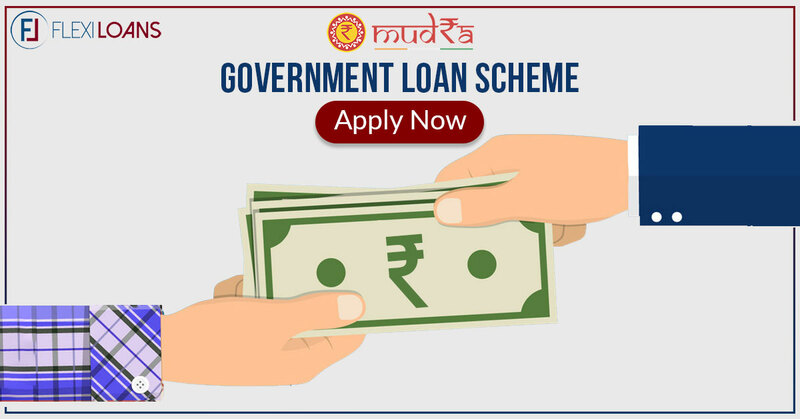 To avail for a business loan the criteria has become quite easy and the entire process can be done under a few minutes like the 59 minute MSME loan and the money can be credited into your account in a matter of days. The process can be entirely paperless too and all approvals can be done online, hence reducing the time spent at offices or in meetings. With technology coming into the picture the screening process has become easier and faster. 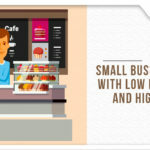 FlexiLoans is one such platform that provides SME and MSME loans in a matter of a few days at low interest rates. To know more about FlexiLoans and the loans offered by us click here.